« Ferment Friday: Olives, lots and lots of olives! This is my favorite dish. And by favorite, I mean it been served weekly at our house for the past 10 or so years. This was #1’s first food. Not on purpose, he just grabbed a handful before I could stop him. Poor baby. It was very spicy. Very. My husband introduced me to Indian food when we were dating. My cousins were adopted from India but being from small town Minnesota, it never occurred to me that Indian was a whole category of food. Awesome food. The best food I had ever eaten. It became my mission to learn how to cook Indian. I even waited at an Indian restaurant through college. It must have been a sight to go to an Indian Restaurant and have a blonde Norwegian waiting on you. Dhal is Indian way to say lentils (and it just sounds cooler). 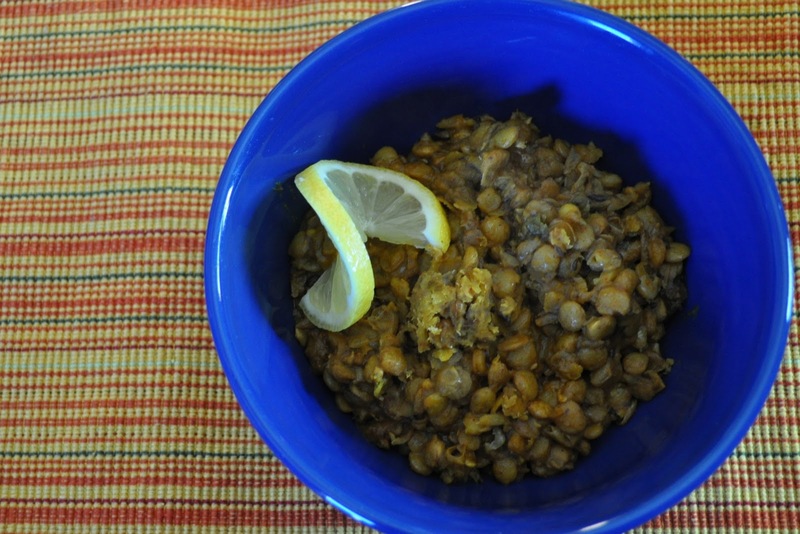 Lemon Lentils just doesn’t have the same ring as Lemon Dhal, also spelled dal, daal or dahl, take your pick. Serve this with basmati rice as a side dish or the main course. The spiced rice recipe I’m including does use white rice. This is how my restaurant made their rice, though I don’t remember them soaking it. After much soul searching and research, I’ve determined white rice is just fine. I heard a foreign exchange student from Japan once say only in America do we eat rice with the bran still on it. My husband actually gets sick from brown rice and tested allergic to it. So white rice for us it is. I don’t always soak my rice before preparing it since it is lower in phytic acid than brown rice and I’m lazy. But many traditional recipe books do recommend soaking basmati rice for improved flavor. And if you haven’t tried basmati rice, you should. It has the most delightful nutty flavor. Yum! Soak lentils in separate bowls in filtered water for about 8 hours. Start lentils and rice (if using) in the morning. Drain lentils and place in a medium saucepan with 4 cups water. Add ginger, 2 cloves of minced garlic, chili powder and turmeric. Bring to a boil and let simmer for about 25-30 mins or until lentils are soft. Add lemon juice and salt to taste. If it’s too watery, let simmer until it thickens up. Meanwhile, in a skillet melt ghee or coconut oil. Once it’s sputtering hot (flick a drop of water on it to tell), add 4 whole garlic cloves, cumin seeds and dried chilies and saute about 5 minutes or until garlic is beginning to blister. Remove from heat and let cool just a little. Pour oil over lentils and stir to combine. Serve on top of spiced rice, garnish with cilantro. To make it GAPS legal, skip the rice and serve over cauliflower. Soak rice in filtered water with 2 tbsp vinegar, lemon juice or whey for about 8 hours (again, start in the morning). Melt oil in a medium saucepan. Add cumin and toast until they begin to sputter. If you aren’t soaking your rice, add the rice to the oil as well to toast. Add remaining spices and water, cover and bring to a boil. Lower heat and continue to cook for about 10-15 or until water is absorbed. Ok I made some morrocan lemons and have them all ready to go but I do not know how to serve them. So in your recipe above do you garnish with the lemons? Sorry to be so dense but I am nervous about eating whole lemons, rinds and all. First I squeeze the juice out over the lentils. I like to use half of one of the lemon quarters per serving. Using a knife, I scrape out the inner portion (the part we would normally eat) of the lemon and then either chop up the rind or cut it into thin strips. Very tasty! Have you ever used homemade bone broth for the 4 cups of water to cook the lentils? Or even some bone broth to cook the rice? I wouldn’t want to alter the flavor of this- it looks fab. Would I drastically change the flavor with the broth? Yes! It works great and adds more great nutrients to it. I use broth to cook both the lentils and rice. If anything, it affects the flavor in a good way.